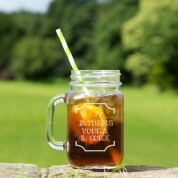 This vintage-inspired handled mason jar is perfect for holding a refreshing vodka and coke inside. 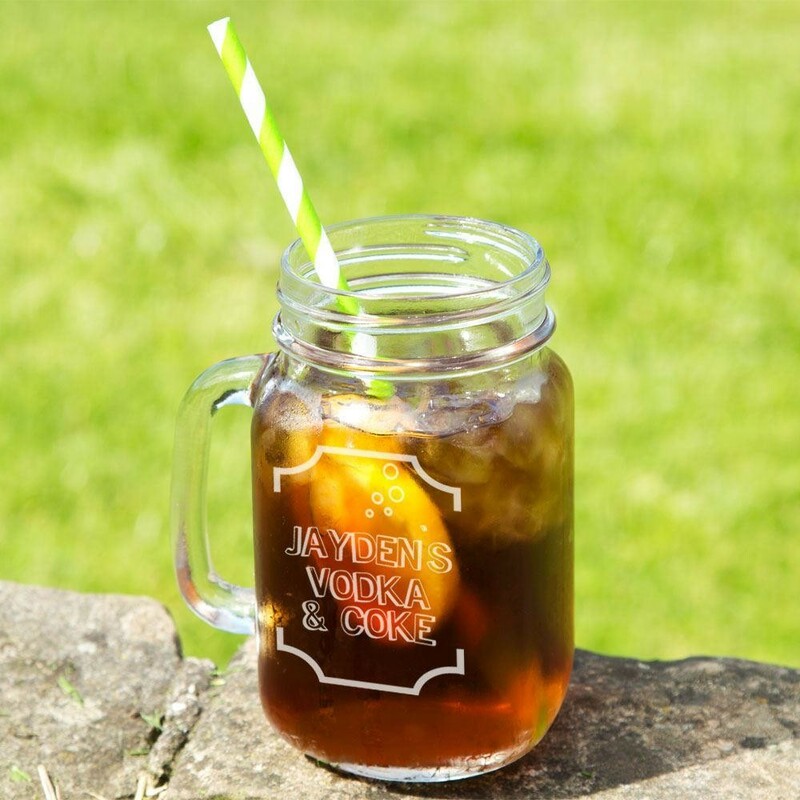 It is ideal glassware for those summer garden events, bbqs or dinner parties - and for adding some retro style to your home! 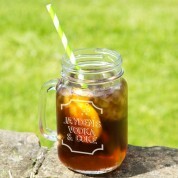 This personalised glass can hold a range of cold drinks inside like cocktails, fruit juice, milkshakes or smoothies and more and hold up to 16.5 oz (approx 470ml) of your chosen drink. 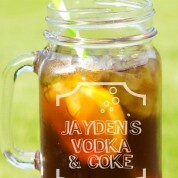 We laser engrave the glass in house so can add any recipient's name and their chosen drink option.